This monument, marking the grave of Joseph Winston, takes the shape of a roughly-cut stone marker housing a bronze plaque. Franklin shares a 7' by 7' plot with Jesse Franklin. Winston was born in 1746. He was a Colonel in the North Carolina Militia during the Revolutionary War and led a company of riflemen at the Battle of Guilford Court House. Winston later represented North Carolina as both a Representative and a Senator in the United States Congress. He died in 1815 in Stokes County, North Carolina. 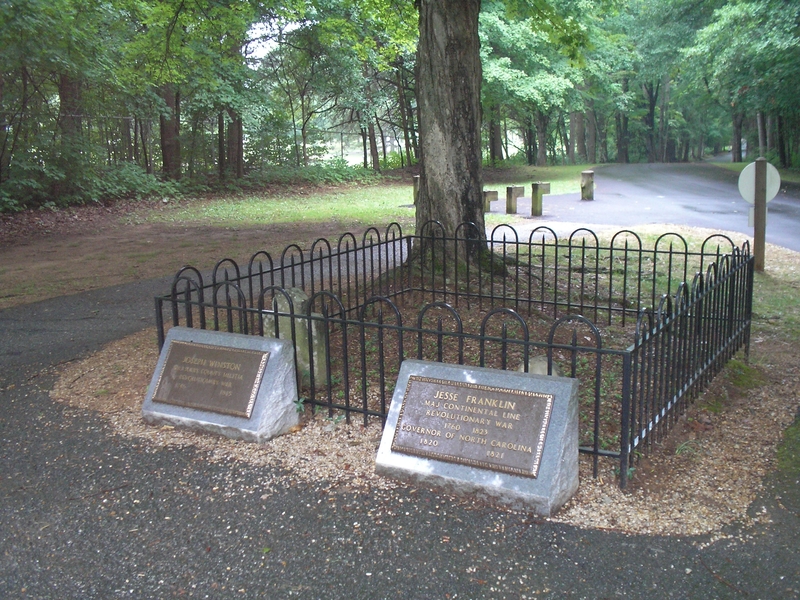 Winston's remains are located in a plot shared with Jesse Franklin. 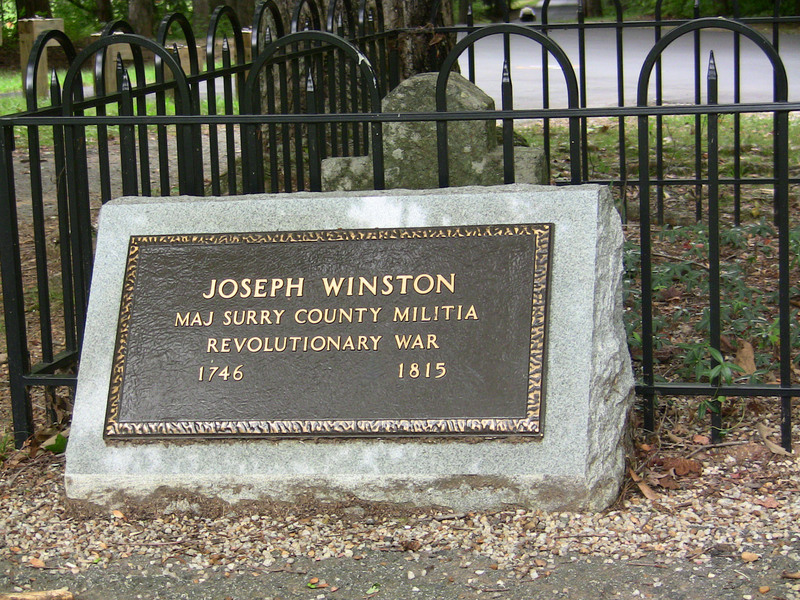 Winston was reburied at Guilford Battlefield on November 2, 1906 in an effort to reinter as many great Revolutionary heroes as possible to the Battleground.